On August 13, 2015, about 2235 Pacific daylight time, an experimental Bartels Lancair Evolution airplane, N427LE, descended into the Pacific Ocean about 490 nautical miles (nm) northwest of San Francisco, California. The commercial pilot was fatally injured, and the airplane was destroyed. The airplane was registered to and operated by Unmanned Systems, Inc., under the provisions of Title 14 Code of Federal Regulations Part 91. Visual meteorological conditions prevailed, and an instrument flight rules flight plan had been filed and activated. The personal flight departed from Phoenix Deer Valley Airport, Phoenix, Arizona, about 1815 with a planned destination of Hesperia Airport, Hesperia, California. Unmanned Systems was in the process of modifying the airplane so that it could be used as a trainer for pilots flying unmanned aircraft. During the month before the accident, the pilot, who was an employee of Unmanned Systems, had spent the majority of his time in Phoenix working on the development and modification of hardware and software systems for the airplane. The pilot had planned to fly the airplane to Hesperia the day before the accident to pick up his children and return with them to Phoenix. He had to delay his flight because flight line personnel at the fixed based operator (FBO) where he hangared the airplane had left the airplane's master switch on, which completely drained the batteries. At 1258 on the day of the accident, the pilot sent a text message to his ex-spouse (the children's mother) stating that he had worked on the airplane until 0500 and then had stopped to get some sleep. He told her that he was going back to the airport to work on the airplane and might have to change batteries. At 1728, he sent her a text message stating that he was" finishing up after all the [maintenance]" and would likely be able to fly. At 1746, he texted that "everything is working so far" and "if checks are good when I'm airborne I'll keep going" to the destination airport. At 1815, the pilot texted that he was departing and would be landing in Hesperia between about 1915 and 1930. Air traffic control (ATC) communication audiotapes from the Albuquerque Air Route Traffic Control Center (ABQ ARTCC) indicated that, after takeoff, the pilot contacted ABQ ARTCC at 1825:24, stating that he was at 18,100 ft and climbing to 21,000 ft. The controller responded that he was cleared to climb and maintain 25,000 ft, which was the altitude listed in the pilot's flight plan. At 1829:54, the pilot made his last radio transmission, which was a response to the controller's frequency change instructions. The pilot read back the new frequency correctly making a slight stutter at the beginning of the transmission and double clicking the microphone. The controller checked to see if the pilot was on the frequency about 5 minutes later but did not receive a response. Radar data indicated that, at the time of the pilot's first radio call, the airplane was transitioning through 18,100 ft, consistent with the pilot's transmission stating that he was climbing through that altitude. During the pilot's last radio transmission, the airplane was climbing through 22,800 ft on a westerly heading; the airplane reached 25,000 ft about 1832:30. The airplane tracked jet route J212, passed over the waypoint CURIV, and about 1850 began a turn to the south-southwest to overfly the Blythe, California very high frequency omnidirectional range (VOR). The airplane completed an s-turn, passed over waypoint DECAS, and continued west, tracking jet route J65. The airplane overflew the destination airport and continued on the heading of 238°. According to US military representatives, two F-15 fighter jets and a KC-135 air refueling tanker intercepted the airplane near Fresno, California, around 1900. An NTSB investigator reviewed the video taken by the F-15 that was in trail behind the airplane. The other F-15 maneuvered close to the accident airplane and attempted to get the pilot's attention. In the audio of the video, the F-15 pilot nearest the accident airplane reported that he was able to see the airplane's lights flashing (likely referring to the airplane's anti-collision lights and rotating beacon). He added that, due to the window position and the sun's glare, it was difficult to see inside. From what both pilots observed, they could not see anybody inside the airplane. They then used flares in an attempt to get the pilot's attention, but there was no reaction from the pilot. The airplane continued on a heading of about 260° at an altitude of about 25,000 ft. The pilot of the F-15 closest to the airplane then attempted to see inside the cockpit using night vision googles. After maneuvering to about 200 ft from the airplane, the F-15 pilot reported that he could see in the front seat what he believed to be a seatbelt should harness fully forward and extremely tight. He was only able to observe this because of the contrast of the dark material. It appeared there was no one inside the airplane. The windows were not frosted. Neither F-15 pilot saw lights in the cockpit area. The F-15s continued to follow the airplane for about 20 to 30 minutes before they were recalled to their base at which point a US Coast Guard C-130 airplane followed the airplane until it crashed into the Pacific Ocean. Radar contact was lost at 2150 as the airplane entered non-radar airspace over the Pacific Ocean. A video taken from the C-130 showed the airplane after its impact with the water. At the beginning of the 49-minute video, the airplane was floating in a nose-low attitude, with the right wing and propeller submerged under water. About 19 minutes into the video, the airplane was in a nose-low, near vertical attitude with the entire nose of the airplane submerged beneath the surface. About 42 minutes into the video, the aft portion of the tail was the only piece of the airplane above the water. The airplane sunk in the ocean, and the wreckage was not recovered. According to a Lancair representative the 4 hours and 22 minutes of flight is consistent with the airplane's engine experiencing a total loss of power from fuel exhaustion. 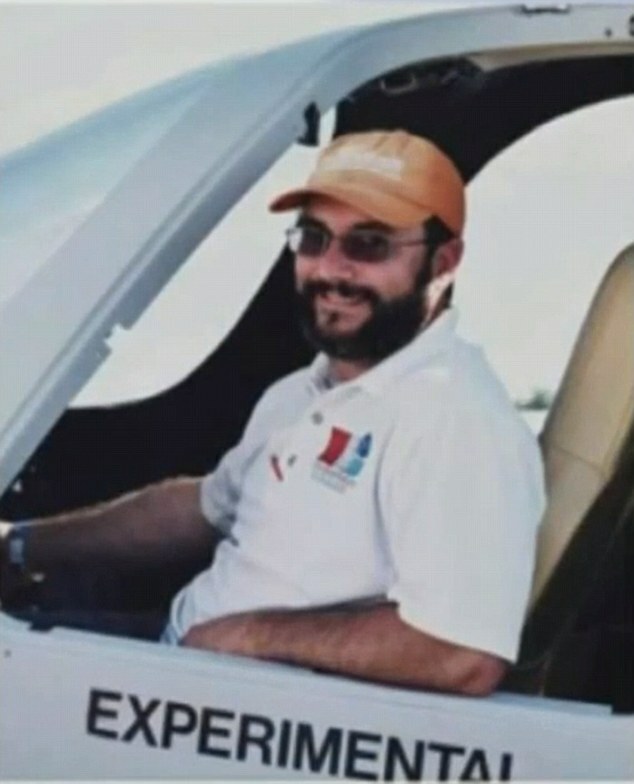 A review of the airmen records maintained by the Federal Aviation Administration (FAA) showed that the pilot, age 39, held a commercial pilot certificate with ratings for single- and multi-engine land airplanes and instrument airplane. He held a flight instructor certificate with ratings for single-engine airplane and instrument airplane. The pilot was also a certified airframe and powerplant mechanic. His most recent second-class medical certificate was issued in February 2015 and had the limitation that he must wear corrective lenses. On his most recent FAA medical certificate application, the pilot reported a total flight experience of 2,150 hours of which 50 hours were acquired in the last 6 months. 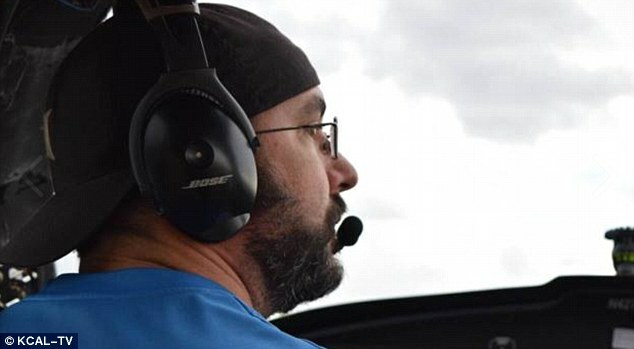 The pilot's personal flight records contained entries up to June 17, 2015, at which time the pilot recorded that he had about 4,025 hours of flight experience, which included his pilot-in-command time of unmanned aircraft. On an application for insurance for the accident airplane the pilot reported that he received 25 hours of Lancair Evolution initial flight training from Elite Pilot Services in December 2014. He additionally reported that he had attended Test Pilot Professional Training at the National Test Pilot School in December 2007 and had previously been in a hypobaric chamber to learn his symptoms of hypoxia. He reported that he did not use any medications. According to the airplane's radar flight history, 18 flights were made between June 2015 and the accident flight. The airplane had been flown from Phoenix to Hesperia on June 14, June 21, and August 3. The pilot's friends and acquaintances reported that he had been working long hours but could perform and operate well with little sleep. The pilot reported in the company records that from August 3 to 10, he worked every day for a total of 83 hours; he had not entered his more recent hours. According to the pilot's girlfriend, he was in good health and had recently run a half marathon. The pilot's body was not recovered so an autopsy and toxicological testing could not be performed. The Lancair Evolution was developed by Lancair and is available as an amateur-built kit from Evolution Aircraft. The high-performance, pressurized airplane is constructed mainly of composite materials and is equipped with four seats, retractable tricycle landing gear, and traditional flight control surfaces. The accident airplane was manufactured in 2009 as serial number EVO-002 and received a special airworthiness certificate in the experimental category for the purpose of research and development in October 2014. The airplane was equipped with a Pratt and Whitney PT6A-135A engine, serial number PCE-P21565. According to airplane records, the engine was installed new in December 2014. An airplane discrepancy list dated February 2, 2015, included an operational check of the pressure controller. There was a further notation that the cabin pressure could not maintain the maximum differential possibly due to a cabin leak or the outflow valve not closing entirely. The records indicated that various maintenance was performed, and the problem was rectified. A new carbon monoxide detector was installed in April 2015. The airplane was equipped with two EnerSys sealed lead acid batteries. The standard battery installation is two sealed lead acid 24-volt batteries wired in parallel located on the cabin side of the firewall forward of the pilot and co-pilot rudder pedals. About 1700 on the day of the accident, the airplane was fueled with 70 gallons of fuel topping the wing tanks to full. The airplane was equipped with a Garmin 900X primary flight display (PFD) and multifunction display (MFD) arrangement with a Radiant Power Corporation (formerly Moritz) touchscreen system between the units. The Moritz touchscreen controlled cabin pressure settings, cabin temperature, cabin fan, and internal and external lighting. A small overhead electrical subpanel controlled pitot heat, prop heat, door seals, the deice door, XM satellite radio volume, and the environmental control system (ECS) flow pack. An oxygen subpanel with an oxygen pressure gauge and switch was mounted to the right of the MFD. In the several months before the accident, the pilot had been working on the development of a prototype to replace the Radiant/Moritz touchscreen control panel, which had a history of failures. People familiar with the pilot and the airplane stated that the pilot's prototype touchscreen was mounted in the panel, and the Radiant/Moritz touchscreen (which had been removed from the panel but was still connected to the airplane's systems) would rest on the seat beside the pilot. The pilot told a co-developer of the prototype touchscreen that, when he returned from the accident flight, he would give the prototype to the co-developer so that software could be loaded into the unit. The co-developer stated that he thought the pilot still had the Radiant/Moritz touchscreen installed in the airplane (resting on the seat adjacent), and it was possibly a unit that had a history of failing when it overheated. He further stated that, if the Radiant/Moritz touchscreen stops working, it becomes a monitoring device. The Lancair repair station manager stated that a few weeks before the accident, the pilot had flown from Oshkosh, Wisconsin, to Phoenix with his prototype touchscreen installed on the airplane and a failed Radiant/Moritz touchscreen in his possession. The Moritz/Radiant touchscreen had five main screen selections: cockpit pressure control system (CPCS) control, climate control, breaker control, main, and utility. The CPCS control page had an automatic mode selection, an option to set field elevation, and showed "cabin altitude comm error" and "differential pressure comm error" if these conditions occurred. The Breaker Control page contained the electronic circuit breakers for numerous items, including the CPCS, fan power, and air conditioning. The CPCS button would map to pages where the cockpit pressure control system could be configured. In the event of cabin pressure exceeding 12,000 ft or differential pressure exceeding 6.7 pounds per square inch (psi), the CPCS button background would change from blue to red. There would also be an audible alarm if either of these conditions occurred. Pressing the red button would take the pilot to the CPCS page where the pressure error data would be indicated in red. The unit displayed actual cabin pressure in feet and had a yellow background if cabin altitude exceeded 10,000 ft. The CPCS page did not need to be selected for the pilot to receive warnings (including if no power was going to the outflow valve). The airplanes' outflow valve supplied an analogue signal at the selected pressure altitudes that was fed to the CO Guardian carbon monoxide detector unit, which also provided cabin pressure warnings. This signal triggered the same aural tone via the audio panel as would be sent for a high carbon monoxide level in the cabin. The tone that the CO Guardian transmitted was not triggered by an output from the outflow valve. According to Lancair builders, the warning tone is a loud, intermittent beeping sound clearly identifiable as a warning and would not be confused with any other sound normally heard in flight. According to Lancair, the most common type of failure on the Moritz/Radiant touchscreen was the touchscreen becoming unresponsive or "going black." They suspected that the cause of these failures was heat sensitivity of the unit, which warped the touchscreen board. If such a failure happened during flight, the pilot would lose the ability to control the screen-based functions, including the pressurization. The pressurization controllers were designed to maintain the current cabin differential pressure if a controller failure occurred and would schedule a pressure reduction during descent and would go to zero at the previously-set destination airport altitude. The airplane's oxygen system configuration during the accident flight could not be determined. Several people who had flown with the pilot stated that he kept an oxygen mask on his lap, and others stated that the oxygen mask would be in the seat pocket behind him. A Safety Board investigator observed in a storage area in Redmond Oregon there were numerous parts that had been removed from the airplane or were going to be installed in the airplane. In those parts, there were oxygen regulator valves, oxygen masks, and oxygen bottles making it further difficult to determine what was installed on the airplane at the time of impact. The airplane's maximum pressure differential of 6.5 psi differential (psid) was the maximum differential between cabin and ambient altitudes that the pressurized section of the fuselage could support. Cabin pressurization is the compression of air in the cabin to maintain a cabin altitude lower than the actual flight altitude. At an altitude of 28,000 ft and 6.5 psid, the cabin altitude is maintained at 7,000 ft. The airplane was equipped with a Kollsman ECS outflow valve, which was auto-sequencing and did not require extra equipment to operate normally. On the Radiant/Moritz touchscreen, the cabin altitude could be automatically selected and monitored, and the unit would indicate the pressure difference between the cabin and ambient altitudes. The rate of change between those two pressures was automatically controlled. Activation of the ECS switch (overhead bleed air switch) allowed compressed engine bleed air from the engine compressor section to go from the flow pack to the cockpit. Bleed air was then routed from the engine through an intercooler and the flow pack that expands the compressed air, thus reducing the pressure. A squat switch on the landing gear opened the outflow valve and prevented cabin pressurization with the landing gear extended on the ground. Switches on the cabin door and baggage door permitted the door seal motors to be energized and inflate the seals. The pilot's seat was equipped with a single cross-body shoulder harness. When a man of stature and build similar to the accident pilot was seated in an exemplar airplane and wore the shoulder harness, he was visible in the airplane. Even when slumped all the way forward, he was visible. Phoenix Deer Valley Airport reported the following weather conditions near the time of the departure: wind 200° at 8 knots, visibility 10 statute miles, sky clear, temperature 107°F, dew point 48°F, and altimeter setting 29.81 inches of mercury. There were insufficient transmissions by the pilot on the accident flight to compare the pilot's voice on the accident flight to his voice on a previous flight to look for signs of hypoxia. FAA Advisory Circular (AC) 61-107B, "Aircraft Operations at Altitudes Above 25,000 Feet Mean Sea Level or Mach Numbers Greater Than .75," states that altitude hypoxia is caused by "an insufficient partial pressure of oxygen in the inhaled air resulting from reduced oxygen pressure in the atmosphere at altitude. Altitude hypoxia poses the greatest potential physiological hazard to a flightcrew member when at altitude. Supplemental oxygen will combat hypoxic hypoxia within seconds. Check your oxygen systems periodically to ensure an adequate supply of oxygen and that the system is functioning properly. Perform this check frequently with increasing altitude. If supplemental oxygen is not available, initiate an emergency descent to an altitude below 10,000 ft MSL." I must be missing something. This is listed as a fatality, but the F-15's didn't seen anyone flying this plane which was in the process of being fitted for remote flight. I don't see anything about the body in the report. There is a note that a similarly sized individual in a similar plane would be seen from the outside by observing aircraft. What am I missing? The wreckage wasn't recovered, the F15 pilot may have made an erroneous observation, or the pilot's body was positioned in such a way that he wasn't immediately visible from the outside. I do believe the investigators are leaning towards the more simple explanation of pilot incapacitation.